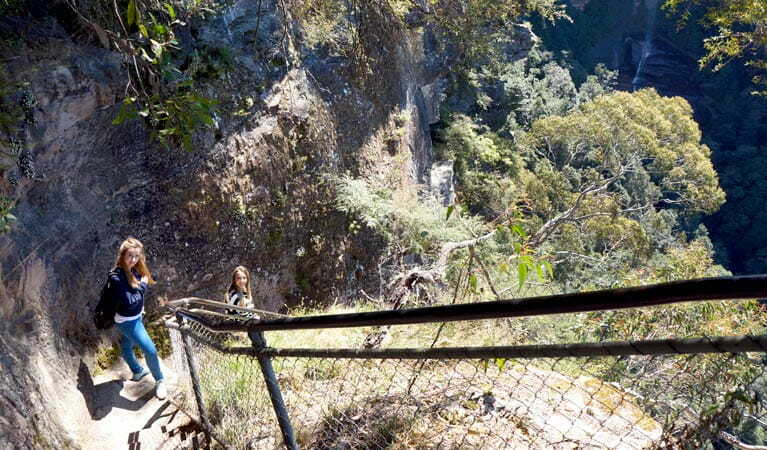 The steep Furber Steps-Scenic Railway walking track offers scenic views, waterfalls, birdwatching, a visit to Katoomba Falls, and the chance to ride the Scenic Railway in Blue Mountains National Park. For information regarding the price of Scenic Railway tickets contact Scenic World. The last departure for the day on the Scenic Railway is 4.50pm. 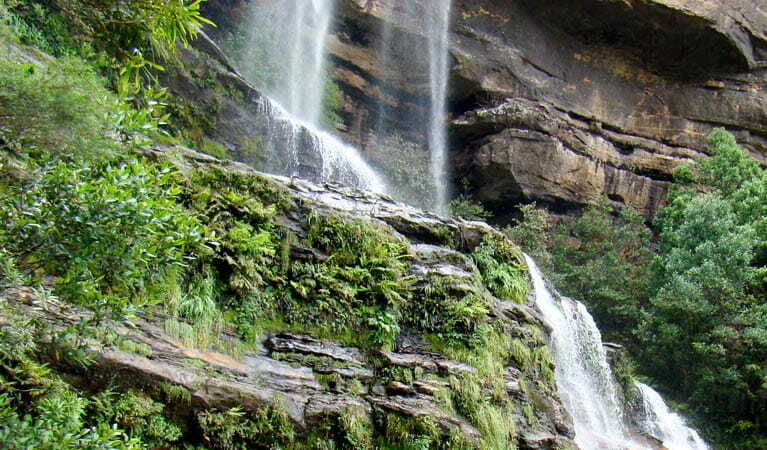 If you love places where mountains and water meet, try this popular track into Jamison Valley in Blue Mountains National Park. 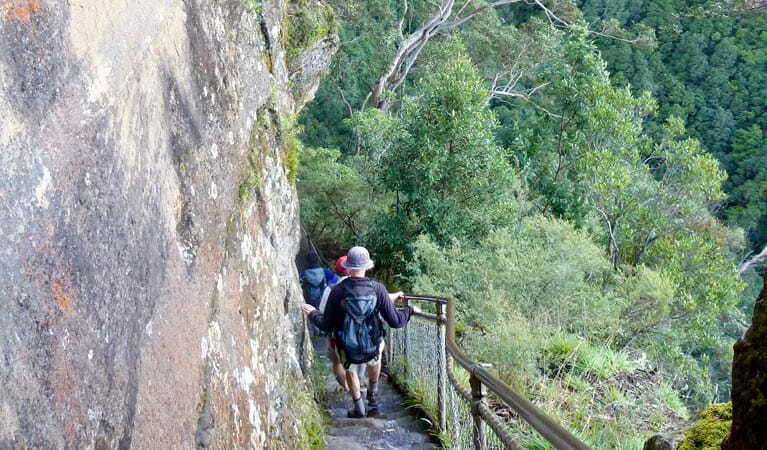 The difficult Furber Steps-Scenic Railway walking track is full of superb views and a brilliant day trip for walkers who love a challenge with a scenic view. Descending through the valley, you’ll enter a world of lush rainforest and cascading waterfalls. Stopping to gaze across at majestic Mount Solitary rising out of the valley floor, you might hear the call of the catbird or wompa pigeon. Remember to take your binoculars if you want to bird watch. 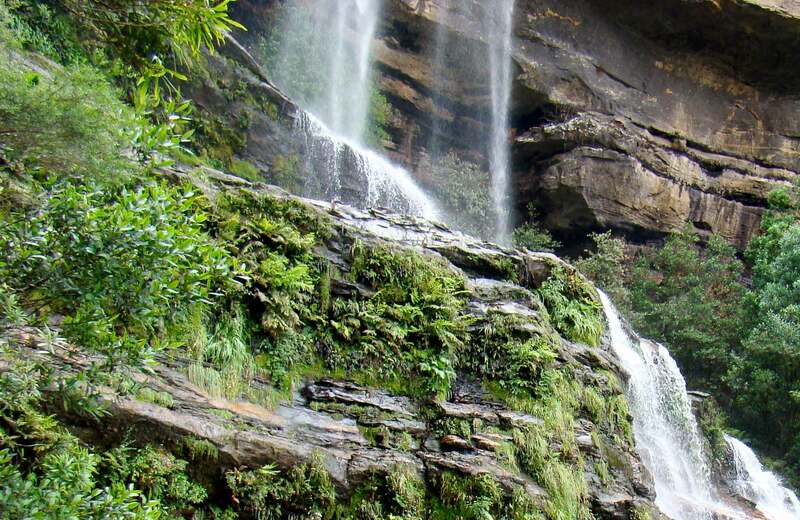 Explore the lush valley on a number of short detours, making sure to stop for a memorable picnic beside the tumbling waters of Katoomba Falls. The opportunity to take the world-famous Scenic Railway or Scenic Cableway back to the top might just be too irresistible. However, if you’re after more heart-pumping action, return back up the stairs. Take a virtual tour of Furber Steps-Scenic Railway walking track captured with Google Street View Trekker. 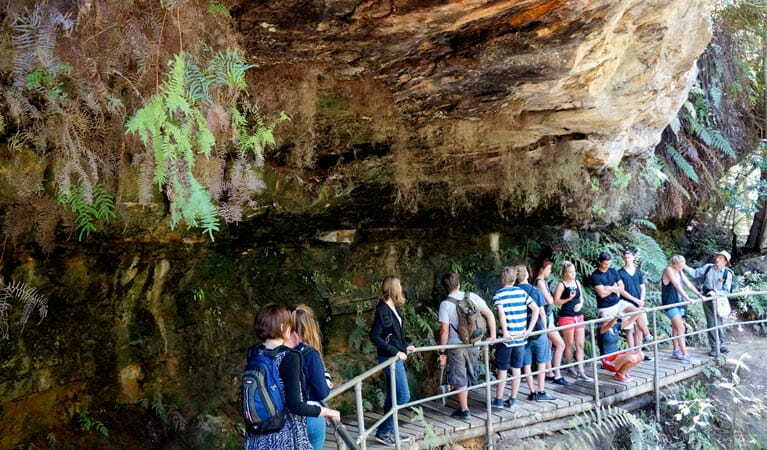 Katoomba area is always open but some locations may close at times due to maintenance, poor weather or fire danger.